This handbook is an introductory guide to harvesting essential workhorse flaps of the torso and upper and lower extremities. Chapters are grouped into separate sections based on the anatomic region of the flaps. 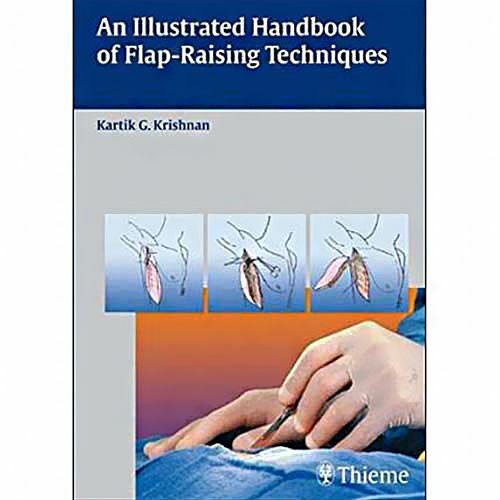 Each chapter details the critical clinical information the surgeon needs to know to effectively harvest flaps, providing concise descriptions of the preparation, incision, and dissection techniques. Precise illustrations supplementing the descriptions enable surgeons to fully understand the technical maneuvers of each procedure. Features: step-by-step descriptions of flap harvesting techniques thorough discussion of the relevant vascular or neurovascular anatomy for each dissection more than 200 illustrations and schematics demonstrating key concepts consistent presentation in each chapter to facilitate reference and review practical discussion of common pitfalls to prepare the surgeon for managing the full range of scenarios in the clinical setting overview of fundamental concepts, including microvascular anatomy and patterns of vasculature of soft tissue flaps, instrumentation, and microvascular and micro neural suturing techniques providing a solid foundation upon which to further develop surgical skills, this book is an indispensable resource for residents in plastic and reconstructive surgery, trauma surgery, orthopedics, and neurosurgery.